A couple photos from our recent trip to Canada’s East Coast. We were in Saint John for a family wedding in June for a little over a week. The weather wasn’t the greatest, but we took advantage of the couple of sunny days there and went camping in Fundy National Park and drove around the Fundy region. 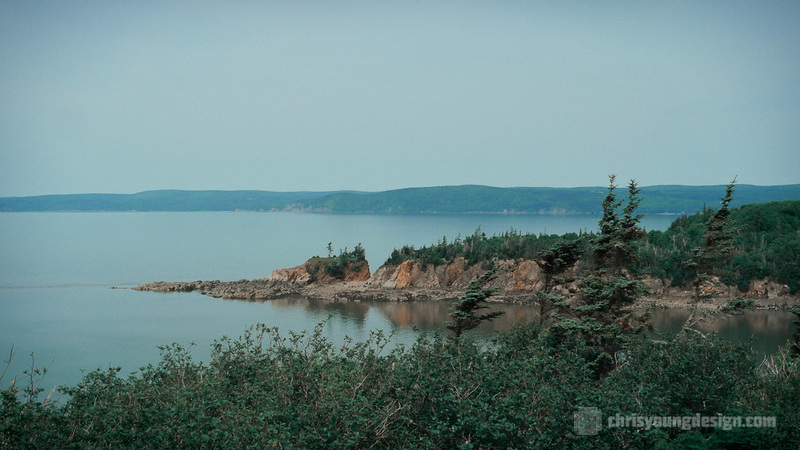 The top photo is just outside of Fundy park at a place called Cape Enrage. We drove out to the end of the cape just to see what would enrage you… Nothing but beautiful views. Kind of like the time we drove 30+ miles out of our way to see Cape Disappointment on the Northwest Coast of Washington… There we were actually kind of disappointed, not much to see there. 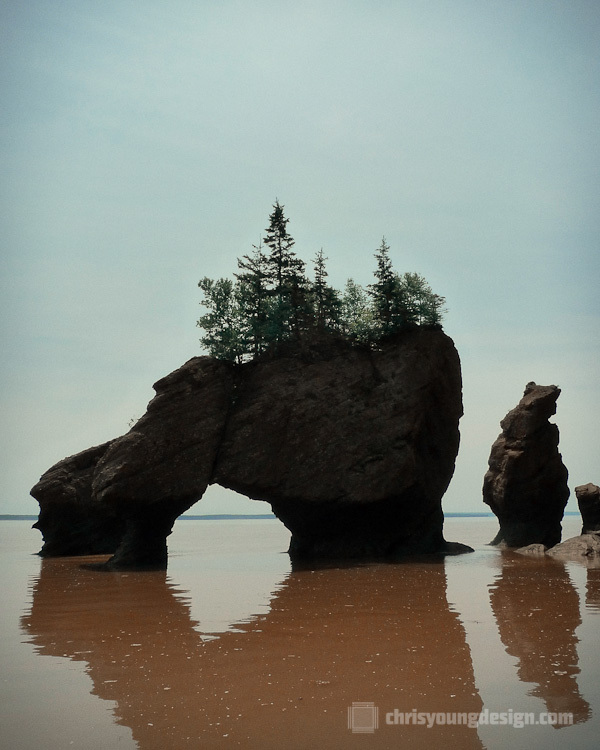 The second photo was shot at the world famous ‘Flower Pot Rocks’ at Hopewell Rocks in The Rocks Provincial Park in New Brunswick. It’s a pretty stunning place with some of the highest tidal changes in the world, about 42 foot difference from low tide to high tide, which happens over 6 hours. We got there a bit late, and only had about 10-15 minutes on the ocean floor before the tide started coming in fast and furious, so you’ll have to check the link above to see some pictures of the vast differences, and how far out you can walk out during low tide (about 2 football fields). I could shoot pictures of this coast forever… Much like I’ve been doing on the West Coast for years. You can never have enough cliff/rock and trees photos.